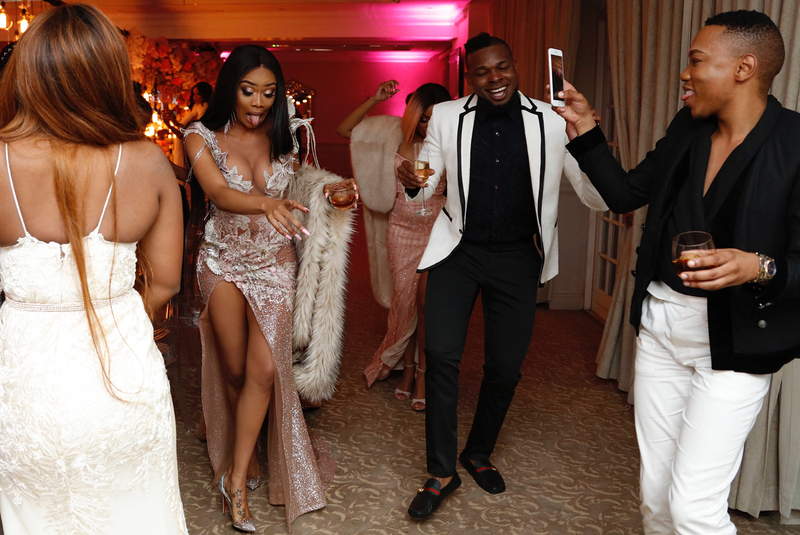 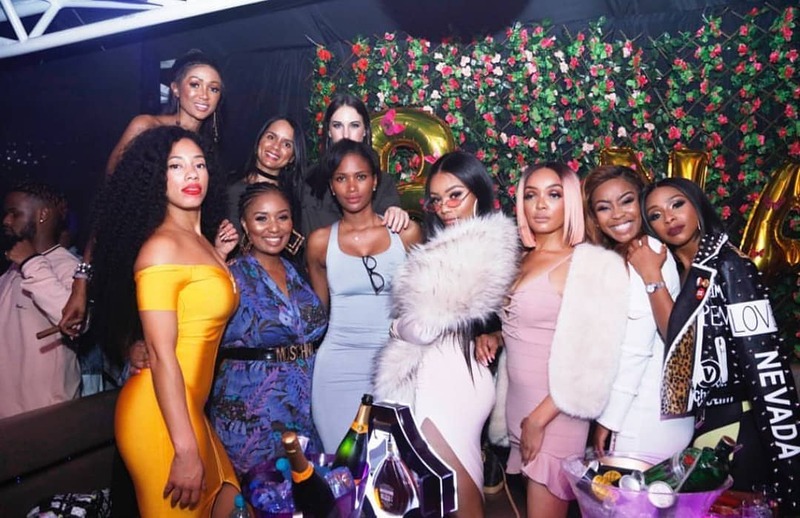 No one throws a bash quite like South Africa’s Queen B does, and considering her 30th was such an extravaganza – how could she possibly top herself? 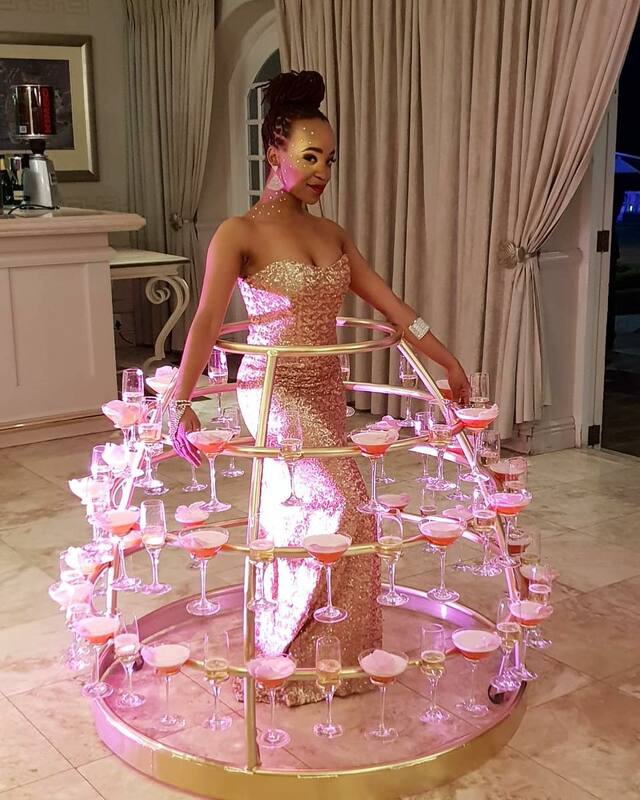 Well, Bonang Matheba does nothing by half and she celebrated her birthday with not one but 3 birthday events. 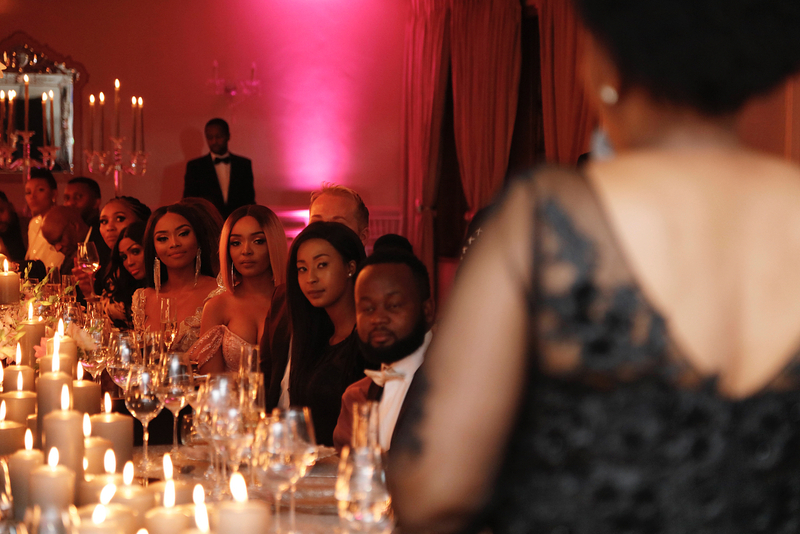 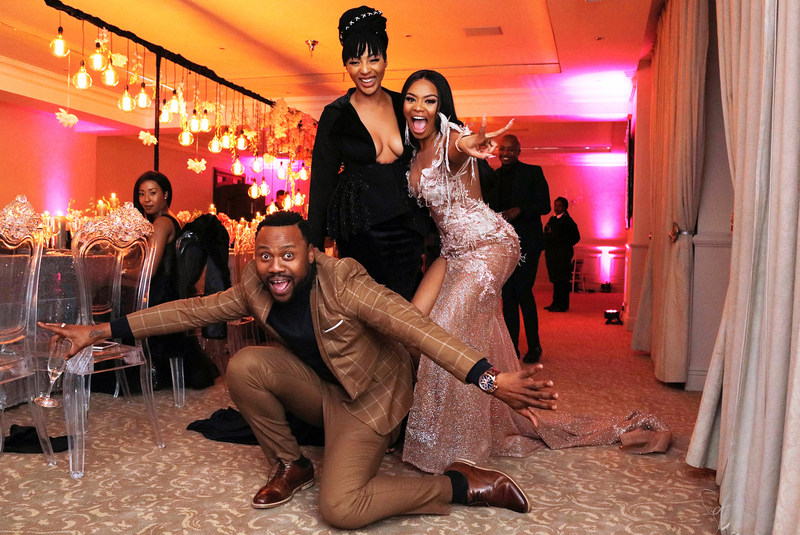 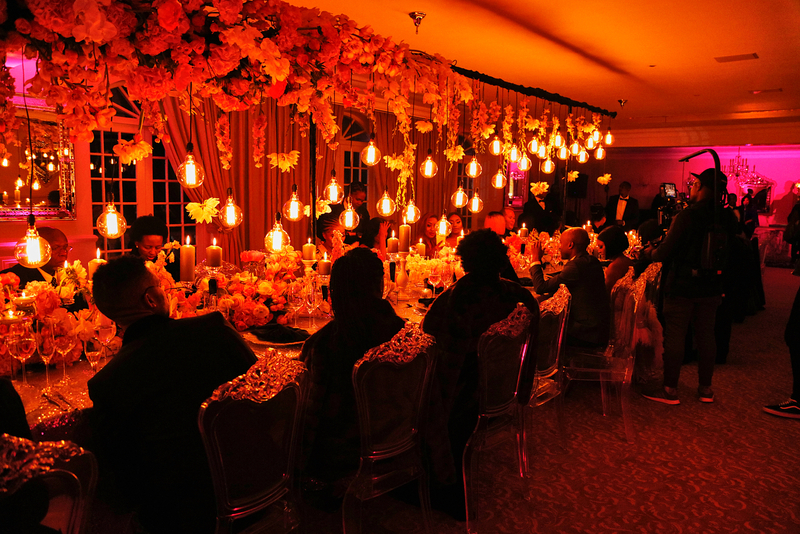 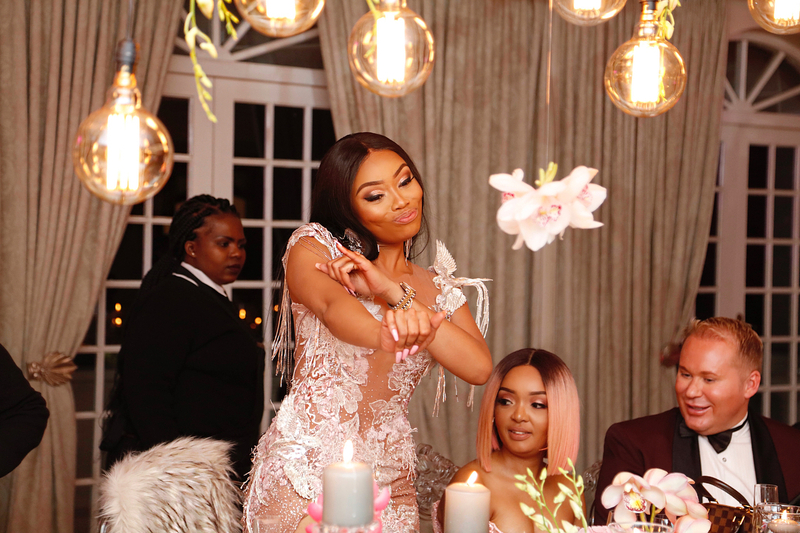 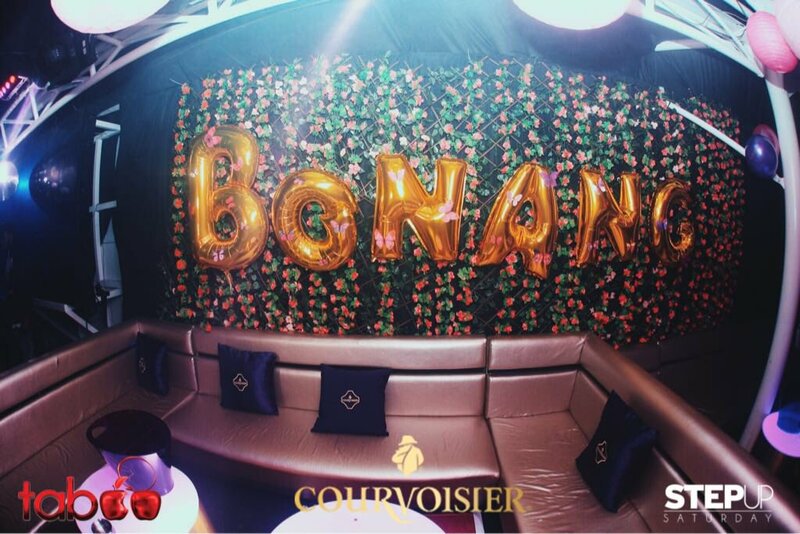 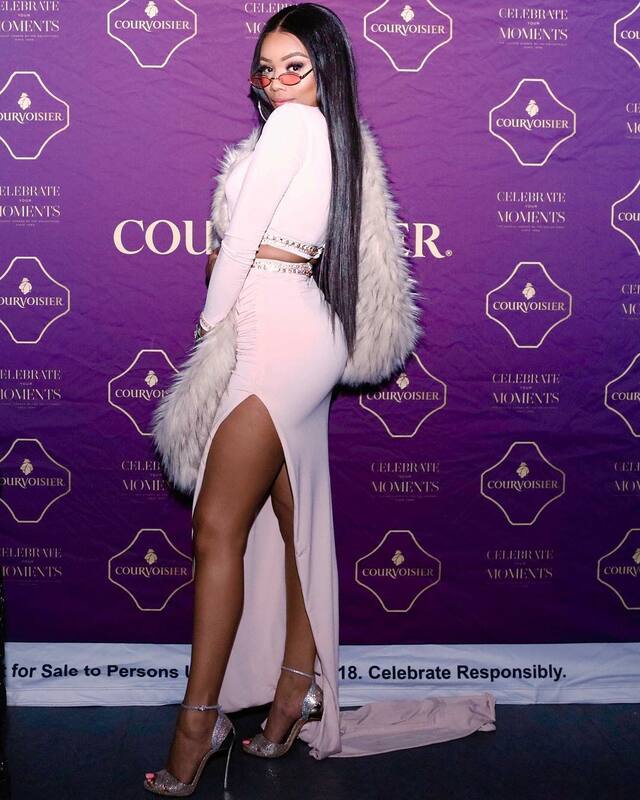 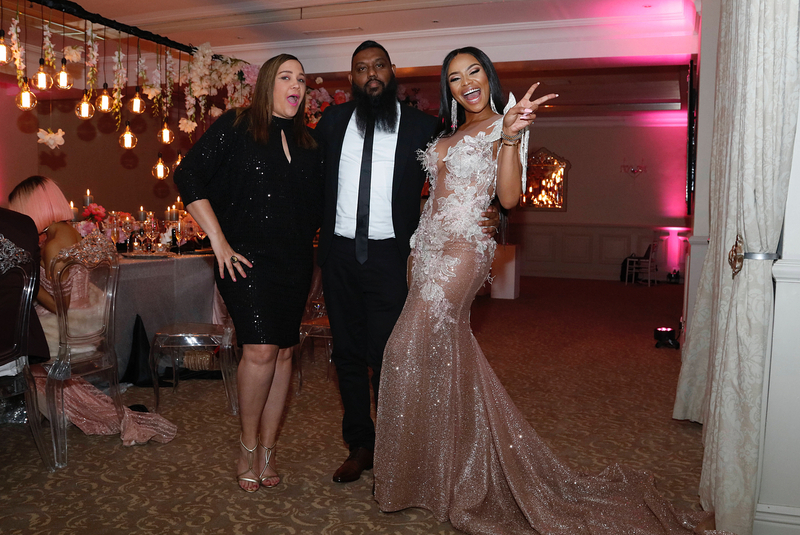 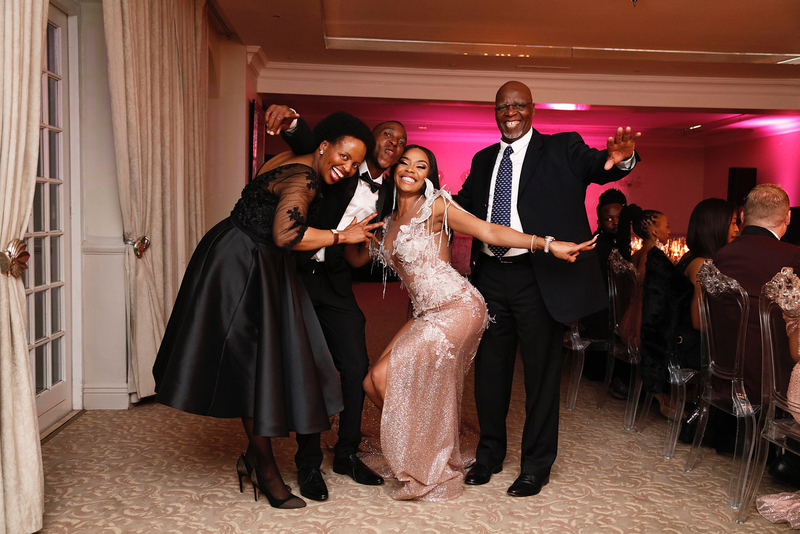 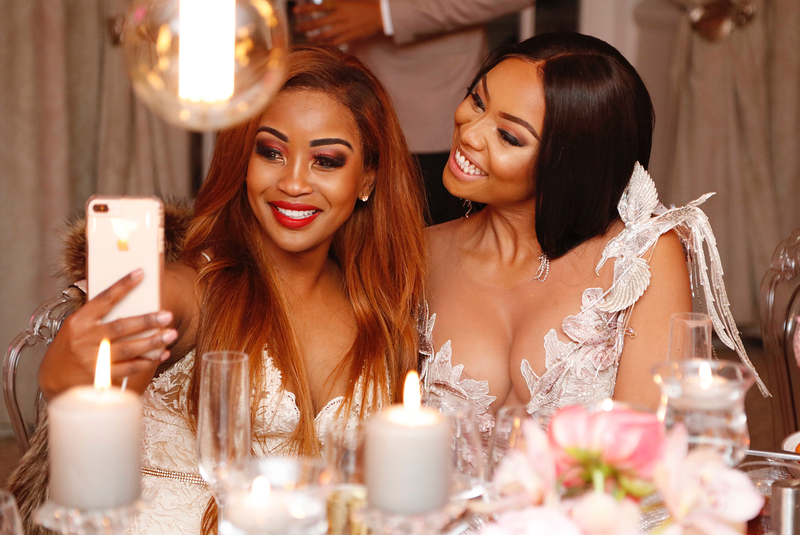 The first was by her Courvoisier family at Taboo nightclub in Johannesburg, the second an intimate luncheon for family and friends on Sunday executed by Precious Celebrations. 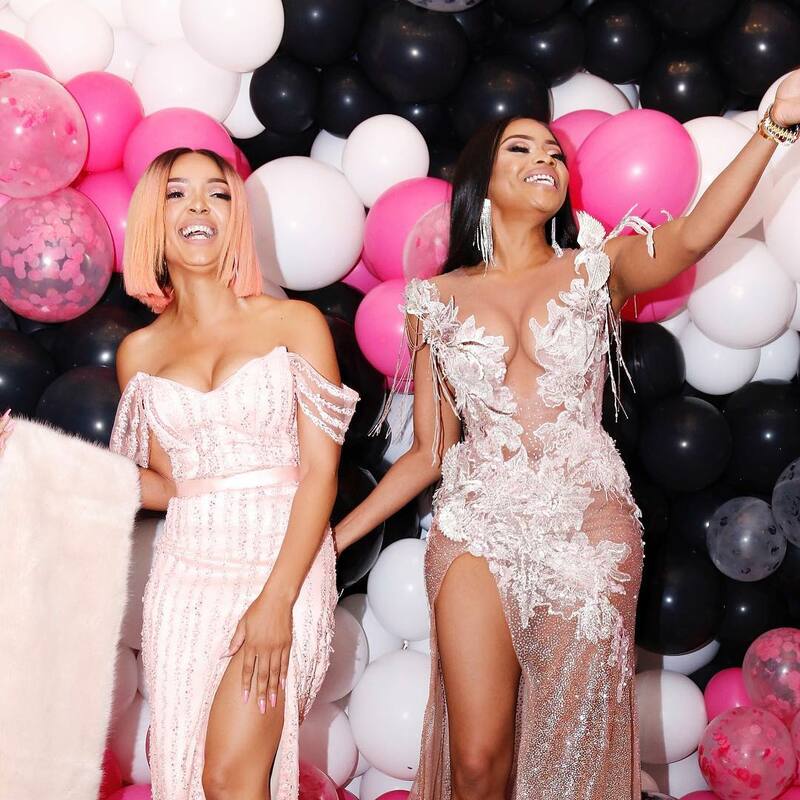 And of course she was the epitome of style at every event – for her Taboo bash where she partied it up a storm she showed up in an Orapeleng Modutle two piece in the palest blush, featuring a high slit and diamante detailing on the cuffs, waistband and bodice. 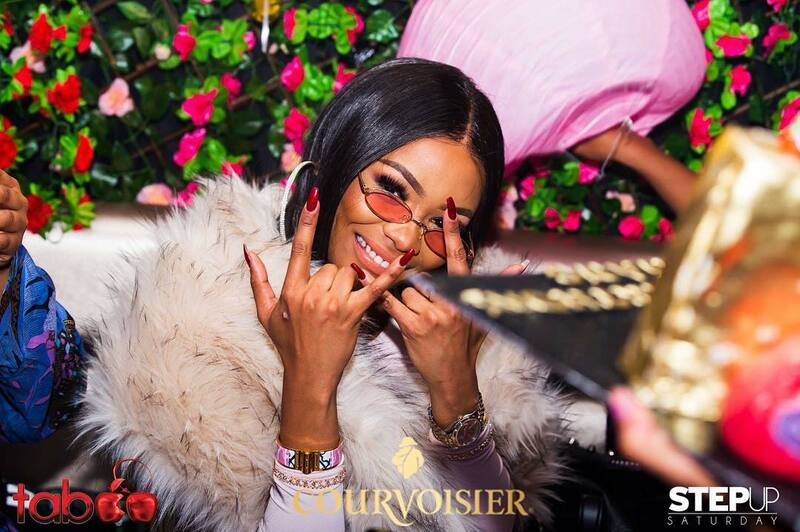 She completed the look with a faux fur stole and pink tinged skinny sunglasses from Jozi Vintage Plug. 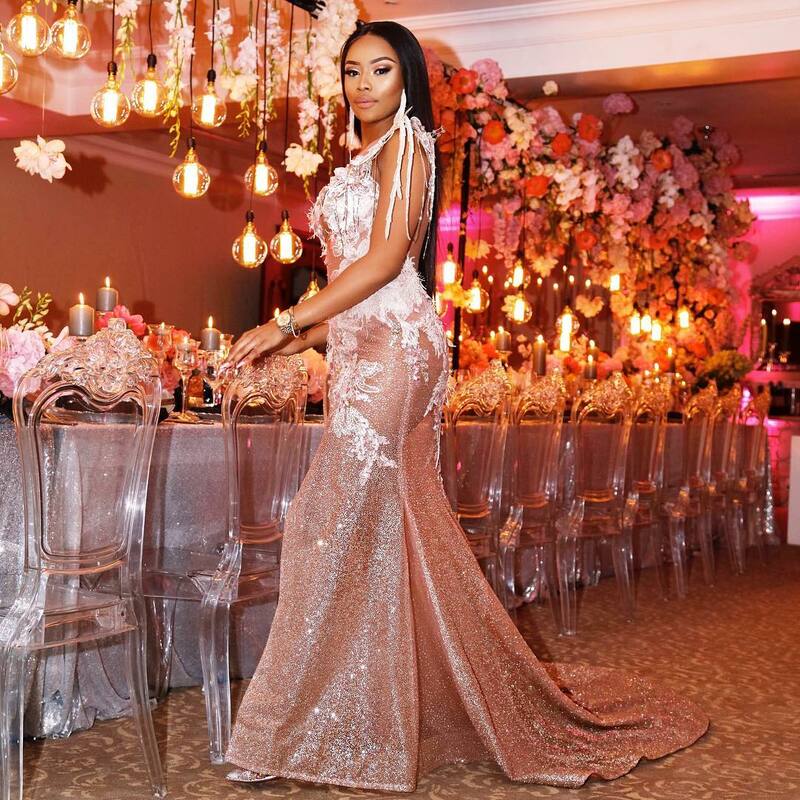 Her hair and makeup were by @lajawihair and @bk_makeupartist respectively. 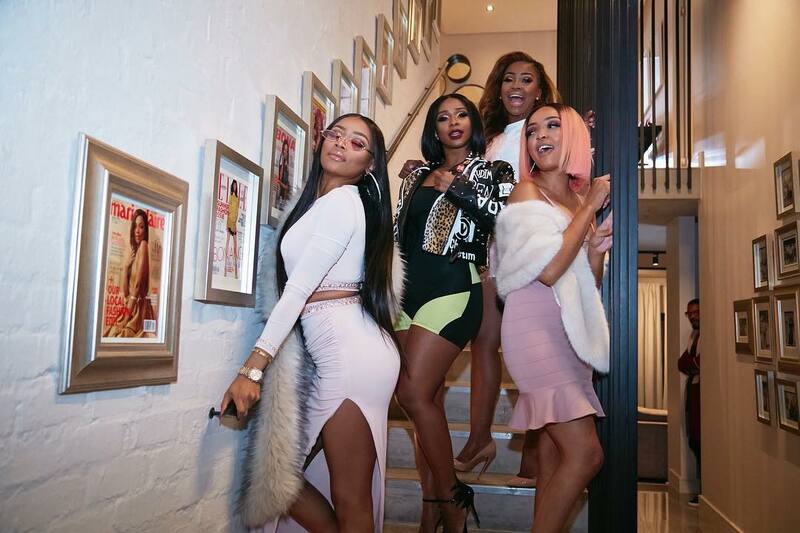 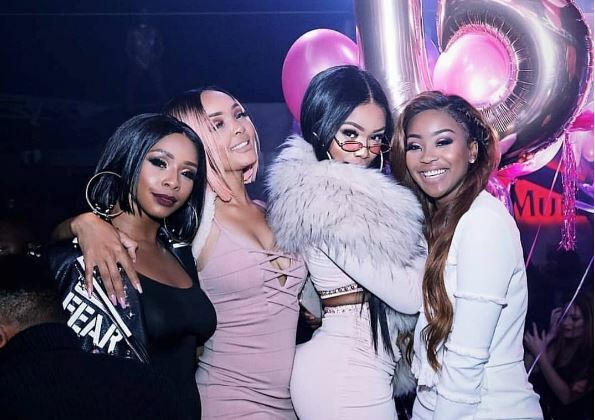 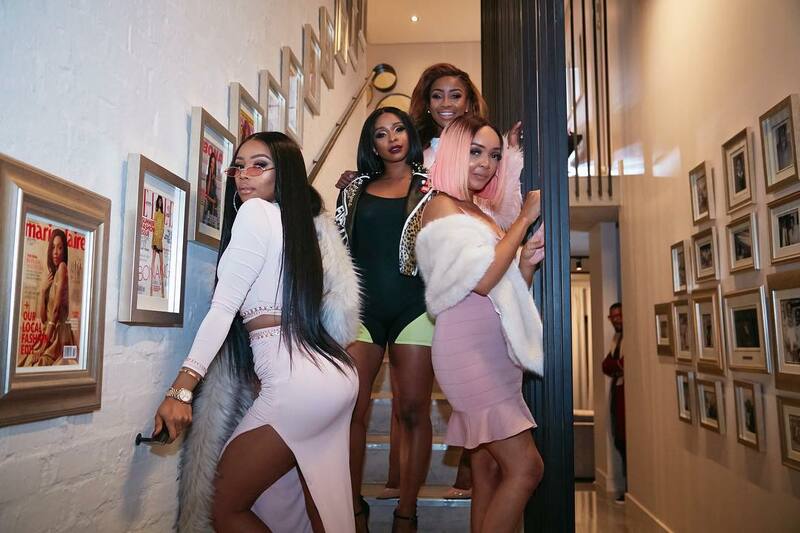 Some of the people on the guest list for all the festivities included Tshepi Vundla, Boity Thulo, Lorna Maseko, Babalwa Mneno, Pinky Girl and Nadia Nakai. 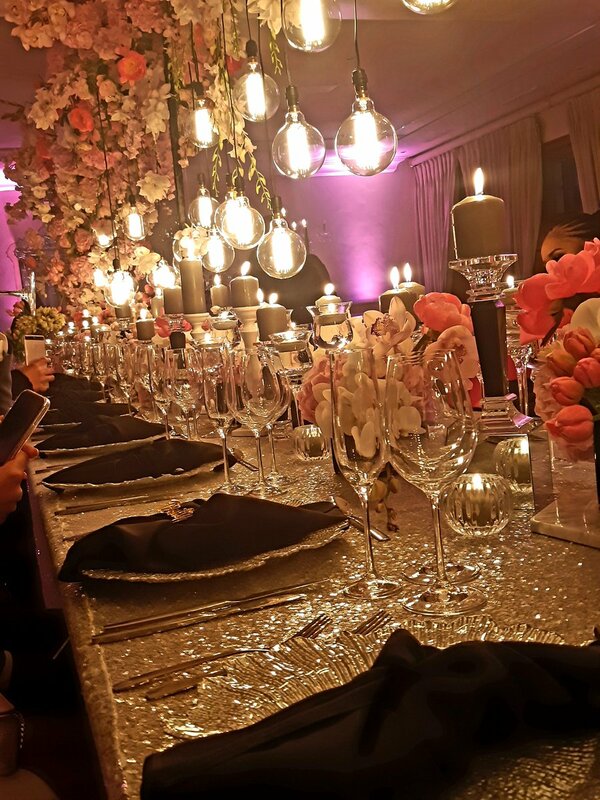 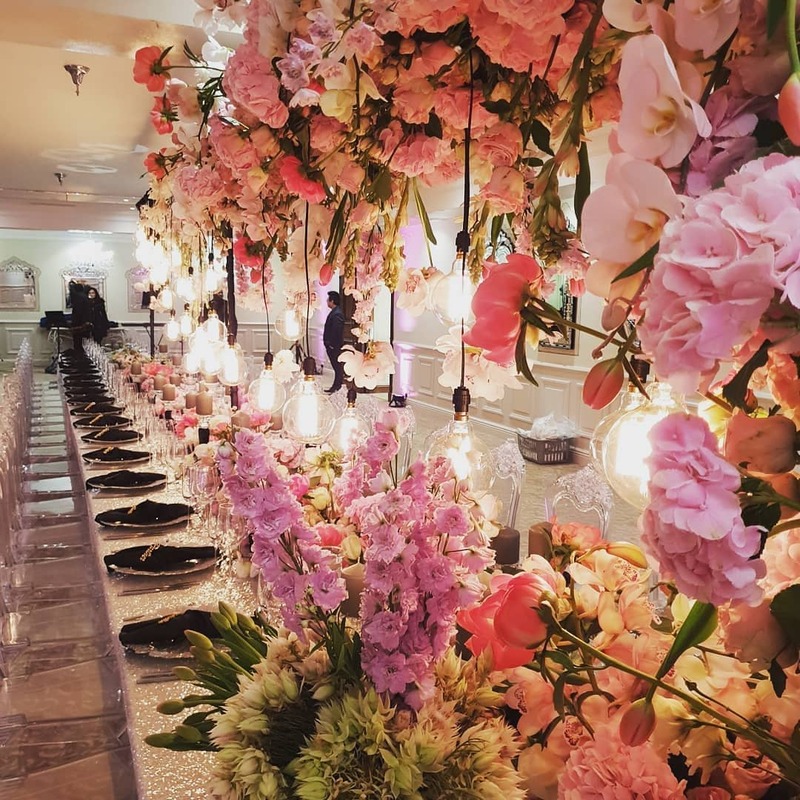 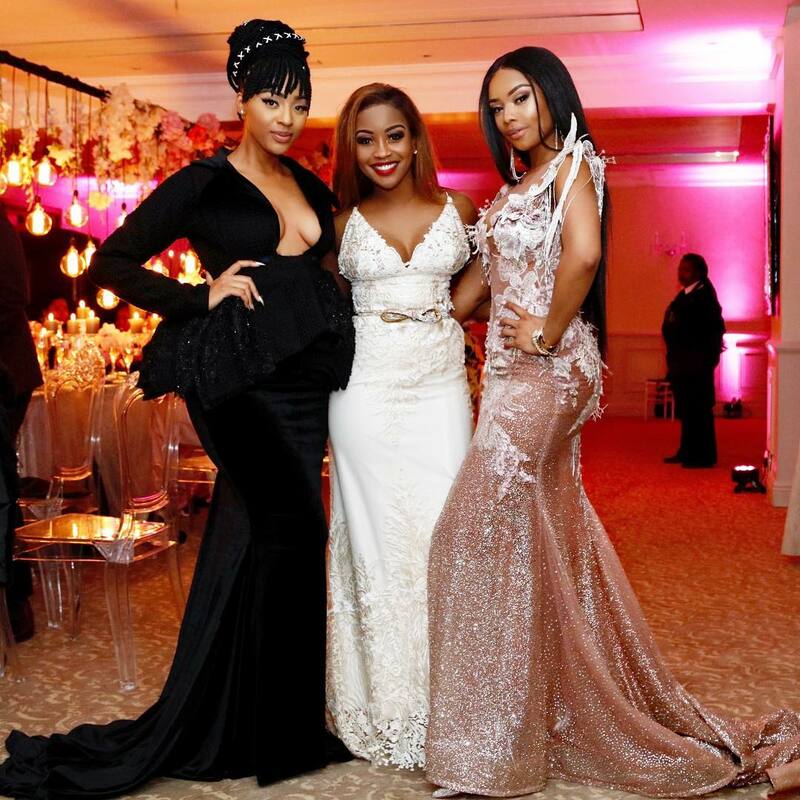 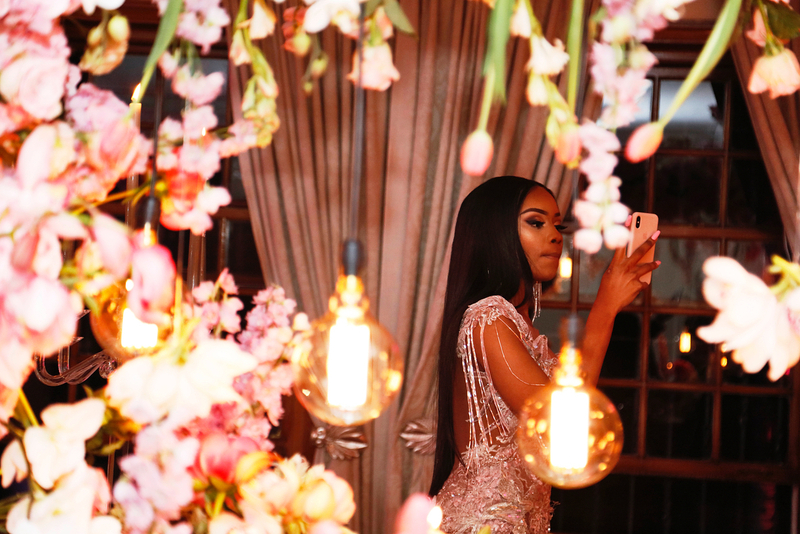 Her private event on Saturday remains a mystery as Queen B is known to guard her private life quite fiercely, However we managed to get a sneak peek of the fabulous decor from her event designer ( Precious Tumisho Thamaga planned her 30th birthday as well). 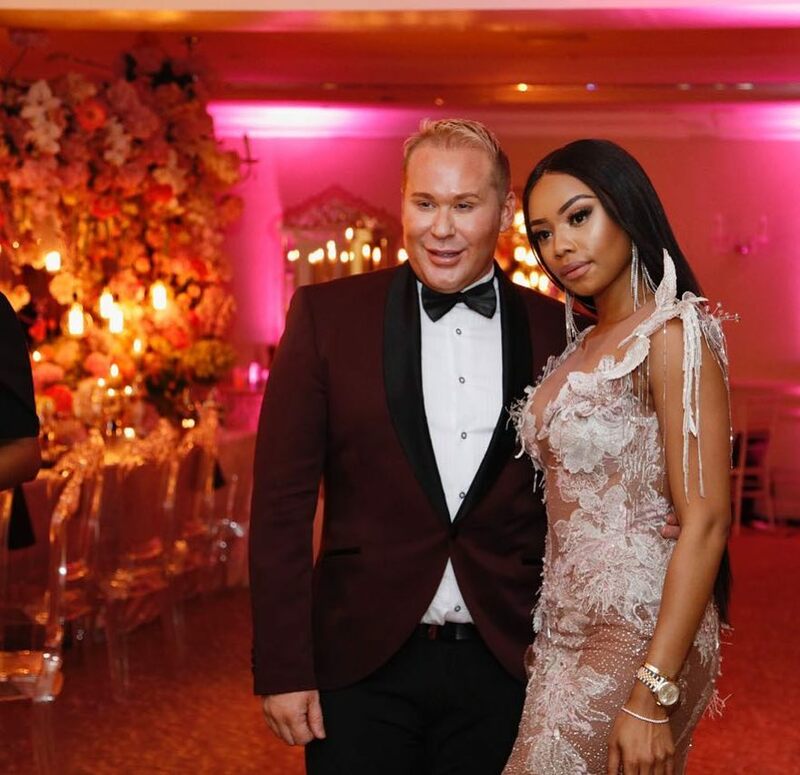 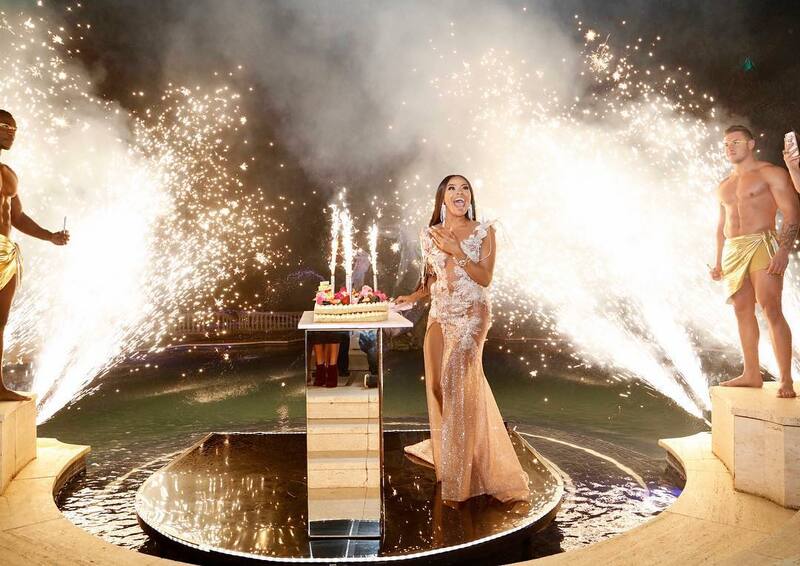 For her third gala-style dinner, Bonang took over the exclusive Summer Place venue in Hyde Park, Johannesburg. 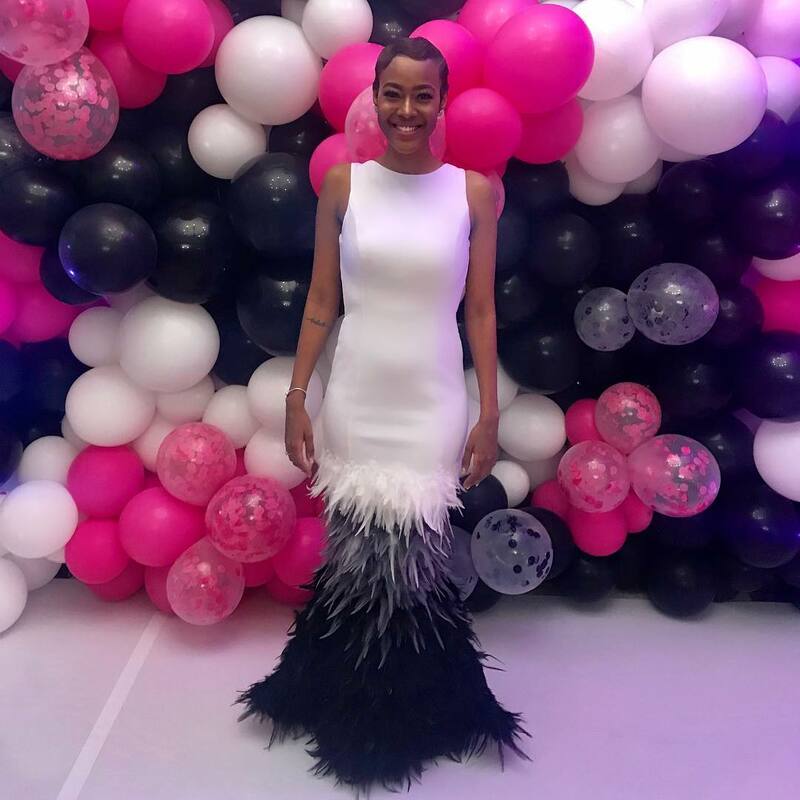 The blowout celebration ensured another daring fashion moment by the TV personality in an attention grabbing custom number by Biji La Maison. 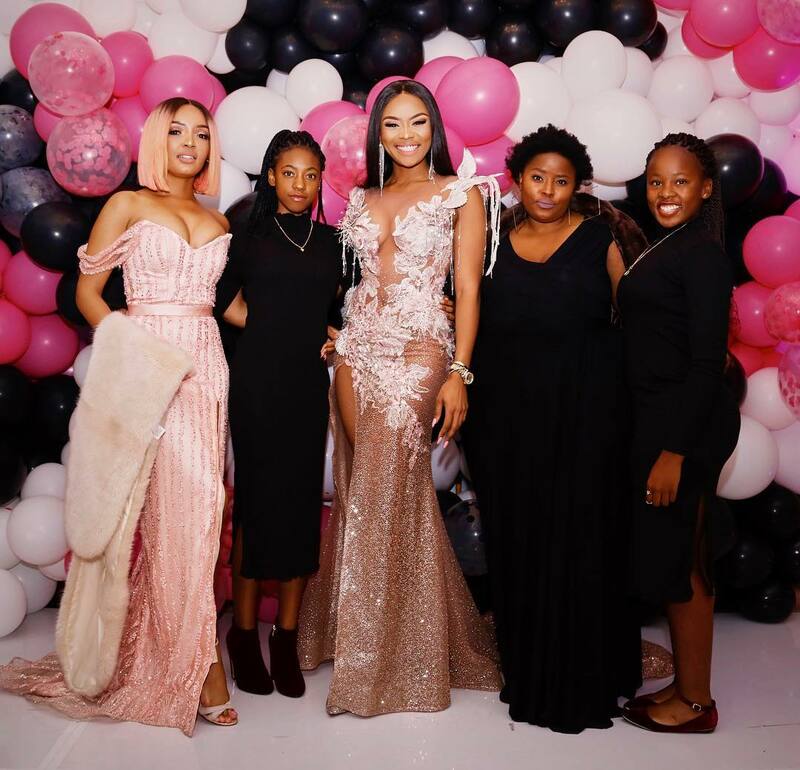 The designer said the feathered and sequinned dress in pale pink was her attempt to capture “champagne bubbles blended with tones of Bonang’s favourite colour pink and my love of metallics, lilies and birds!”. 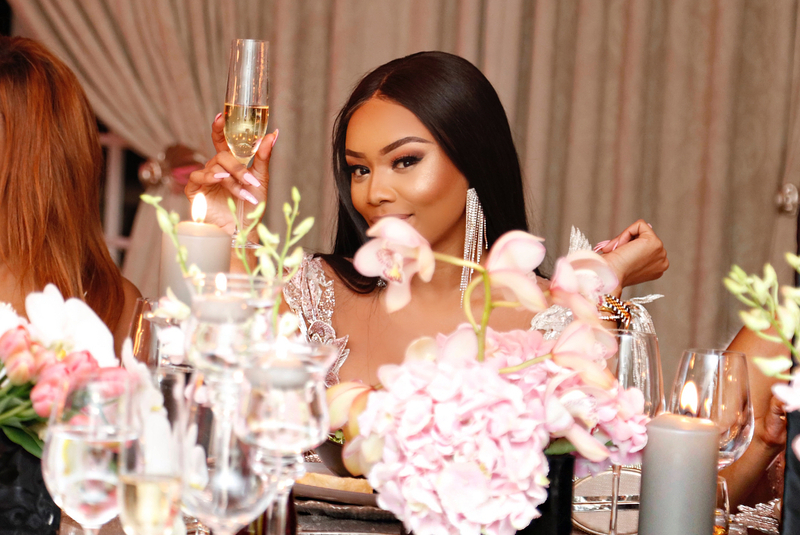 Yes Bonang. 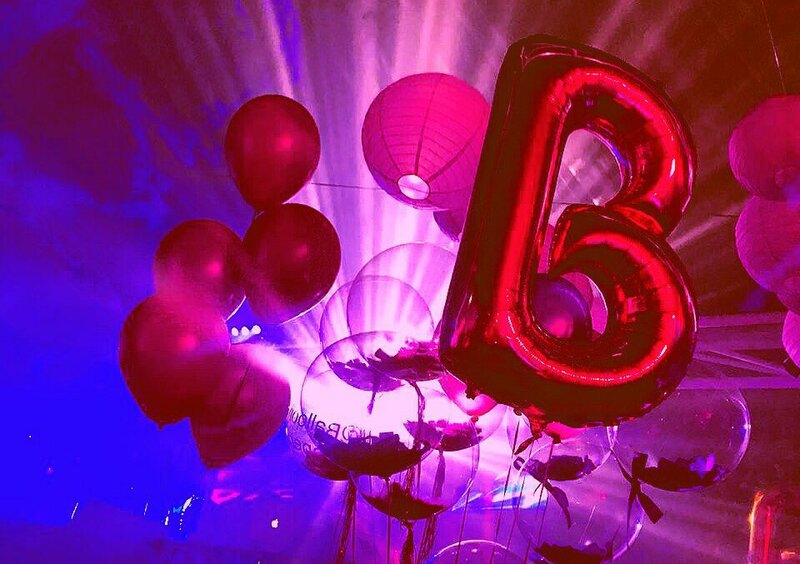 We would absolutely love to. 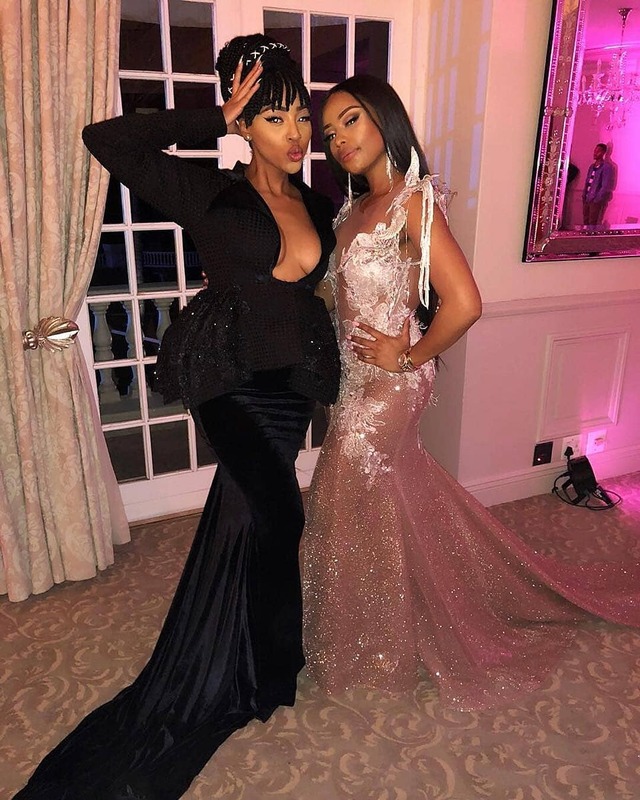 Tiwa Savage’s Vibrant Jumpsuit Matched Her Performance At The Global Citizen Festival #Mandela100!